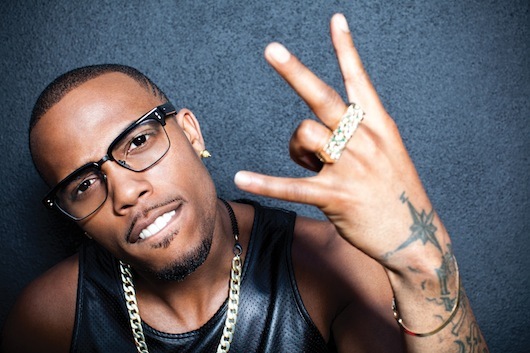 RAW HOLLYWOOD : B.o.B IS BACK WITH NEW MUSIC AND VIDEO "ROLL UP"
B.o.B IS BACK WITH NEW MUSIC AND VIDEO "ROLL UP"
Well hello B.o.B, long time no hear from! The rapper is back with some new music after a little hiatus on the music scene. This new song is titled "Roll Up" and it features Marko Penn. This new song gives off a real islandy (if that's a word) type of vibe... on a summer night. B.o.B's new song is definitely a stoner anthem, as the video matches the song very well. In the video you can find the rapper chilling with a few friends backstage, partaking in a little herbal turnup before he goes and does a performance. The video is pretty cool, if those are your type of vibes. I hope this is the beginning of more music to come.